Spoken of by observers of the time as one of the most brilliant and skilful players to have ever played the game, George Vautin was one of a number of Tasmanian footballers to have made an impact in the embryonic Victorian competition during the late 19th century. Vautin was born in 1869 in the small community of Orielton, around 20 kilometres north-east of Hobart. A formidable talent as a sportsman, and he began playing football with the old City club in Hobart as a young teenager, advancing through the ranks to the senior team in quick time and playing in a City premiership aged only 17 in 1886. The following year he was a member of the first Tasmanian team to visit Victoria, playing a number of matches in Melbourne against VFA side Essendon and other inter-colony teams, and it was in these matches that the wider football community began to speak of Vautin as a player of singular talent. A second premiership with City in 1888 was followed by duties in a further representative opportunities to Melbourne (1889) and New South Wales (1890), and it was at this time that Essendon approached him with an offer to play with them in Victoria, to which Vautin agreed. By the time of what came to be known as ‘The Great Schism’ – the split of the eight VFL clubs from the VFA in 1896 – Vautin was still a key member of the Essendon side, having won the Champion of the Colony award as the most brilliant player in the VFA in 1895. 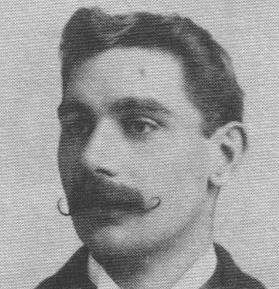 He was a member of the first VFL premiership team in 1897, and retired from football the following season aged 29, leaving a reputation as one of the finest talents in the early days of the code. A talented all-round sportsman, Vautin was also a fine cricketer in both Tasmania and Victoria. His son Roy trained with Essendon in the late 1930’s but never played a game for the club. George remained in Victoria after his playing days were over, and died in West Preston in 1949 at the age of 79.